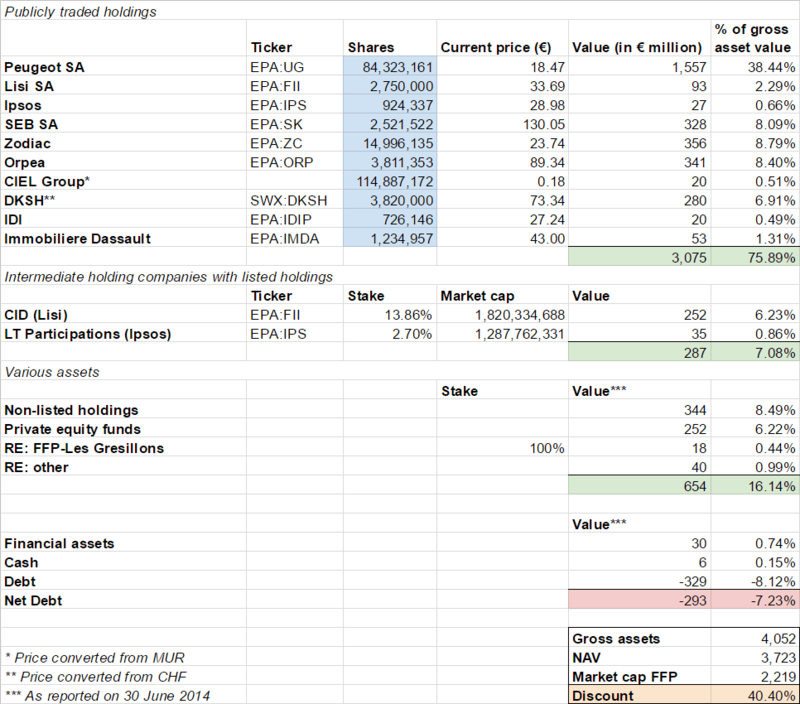 Yesterday FFP released their 2016 annual report (French) which prompted me to update my spreadsheet that calculates the live NAV of the holding company. Since I started my position in FFP in 2013 the discount has shrunk a little bit, but has remain fairly constant so far. I estimate it to be 40.4%, just a handful of percentage points lower than the 46.5% discount it was trading at three/four years ago. Because of that I’m happy to continue holding my position. If you want to access the spreadsheet yourself, I have shared it here. This entry was posted in Portfolio and tagged FFP.PA on April 5, 2017 by Alpha Vulture. how do you find these man?! Are they doing any buybacks to close the discount? They have a share buyback program, but they don’t buy back a meaningful amount. And company only has a float of 20%, so no opportunity for activism. Peugeot family decides what will happen, they have the other 80%.